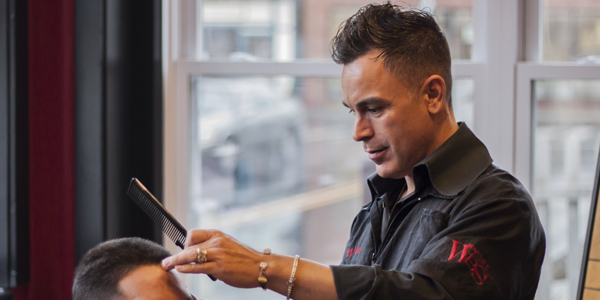 Wayne Richard has been at this nearly 20 years, and took John’s Barbershop over from his grandfather in 2005, where it began its transformation into the contemporary hotspot it is today. Much like the man himself, it’s a comfortable mixture of new and old; classic and current. While Wayne is up on all the latest trends, fashions, and so forth, he’s not into fads or gimmicks and he’ll give it to you straight even when the truth is hard to swallow. 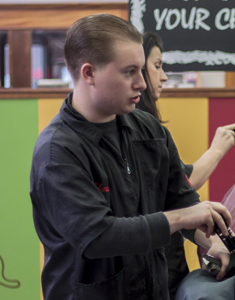 So don’t be alarmed when he tells you the haircut you want will make your head look lumpy, or big, he’s just looking out for your best interests. Plus he cut Dave Matthews hair once, so you know you can trust him.